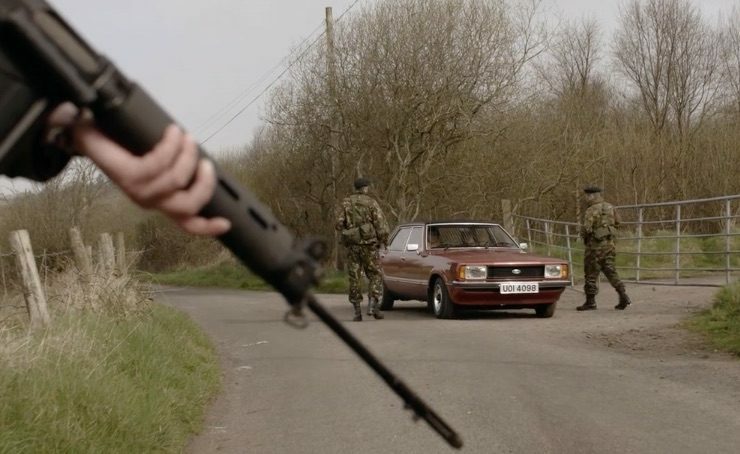 While the main Belfast Film Festival happened earlier this year, the team are screening a strand of documentaries during August in their Pull Focus Documentary Festival. Below is my pick from the full programme. A lyrical and visual poem about the latter day prophets preaching salvation and the end of days on street corners, at cattle fairs and in the tabernacles. In Dust on the Bible, local director John T Davis draws parallels between America’s fundamentalist Bible-belt and the manic street preachers in his home city. Friday 10 August at 7pm in the Beanbag Cinema. Wonderful Losers tells the story of the cyclists at the back of the peloton, the so-called ‘losers’ of professional cycling who are dismissed as water carriers for the heroes at the front of the race. 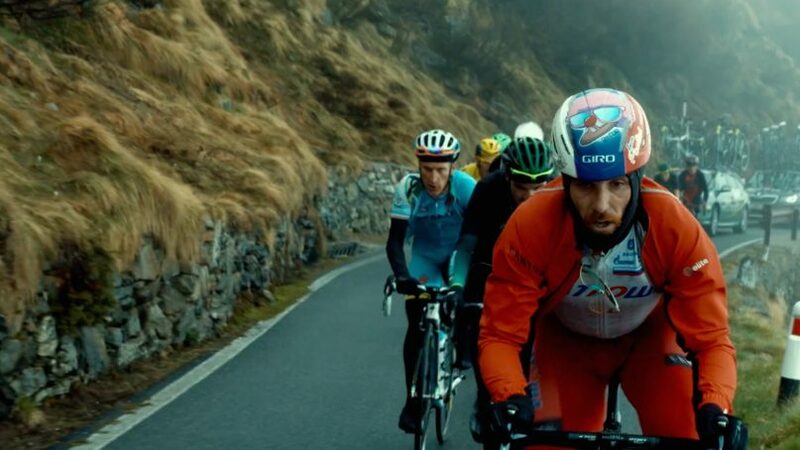 Discover the monasticism, unconditional acceptance and self-sacrifice at the heart of the Giro D’Italia in Arunas Matelis’ film on Sunday 12 at 7pm in Movie House Dublin Road. The festival closes with the screening of Unquiet Graves at 7pm on Thursday 16 in Movie House Dublin Road, followed by Q&A with director. Based on research by The Pat Finucane Centre, Justice for the Forgotten, and Anne Cadwallader’s book ‘Lethal Allies’, the film tells the story of the Glenanne Gang and the collusion of members of the RUC and UDR in the murder of over 120 civilians. Mark Cousins regularly serves up a treat with his quirky, left-field sensibility that looks through a camera lens and sees what others would not. 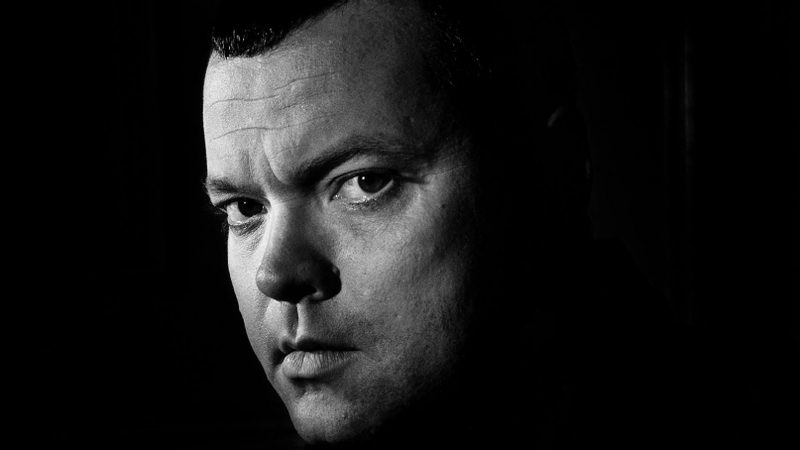 Granted access to private drawing and paintings by the late director and actor Orson Welles, Mark Cousins reveals a portrait of the artist in The Eyes of Orson Welles, with a vivid examination of his passions, politics and power that perhaps still resonate thirty years after his death with the antics of another well-known American showman who is never out of the news. Screening in the week following the Pull Focus festival on Tuesday 21 at 7pm in The Strand. Young Tony gets his first part-time job as a paperboy. It’s 1975 and he lives on the Upper Shankill Road. Over the new two-hour long musical Paperboy we watch the lad grappling with the chaos and division around him as he steps into young adulthood with a vision for a different future and his earnest pursuit of an elusive sweetheart. Youth Music Theatre UK run an ambitious programme of new and devised work every summer with young performers. Auditions on the Shankill and Falls brought local acting talent into the cast along with young people from across the rest of the UK and Ireland. 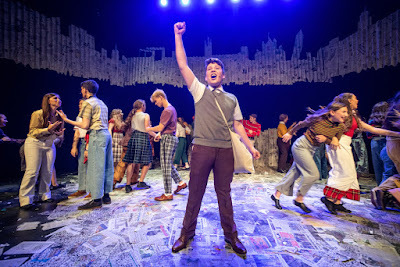 Sam Gibson is the star of the show, playing Tony Macaulay whose popular eponymous memoir has been adapted by Andrew Doyle to create the book and lyrics for this musical. Only in Belfast could ‘vibration’ be used as a rhyme with ‘detonation’! Rarely off stage for the two-hour, two-act performance, Gibson clicks his fingers to step out of the action to narrate asides and anecdotes about his nascent understanding of what’s going on in the streets around his home, before jumping back into the singing and dancing. Auditioned on the Shankill, the 14-year-old Campbell College pupil starred as the Artful Dodger in last summer’s Grand Opera House's Summer Youth Project production of Oliver. Gibson has a beautiful, well-pitched voice, and has his character’s pre-teen swagger down to a tee. There’s so much attention to detail in the performance, closing gates as thoroughly as his popular paperboy character would be expected to. His stage presence shines, with an ability to demand to be the centre of attention one minute and then to slip into the background when the spotlight is off him shows a maturity not always seen in full-on youth drama productions. Erin Ryder plays the hair-twirling and bubbly Sharon Burgess who is the apple of Tony’s eye but turns out to be more of a forbidden fruit who whose affections lie with Ben McGarvey’s suave and worldly Big Jaunty. Another stand-out singing voice in the production belongs to Honor Brigg who plays Tony’s mum Betty. With a cast of 35 playing more than 50 characters, along with puppets (and a great Ian Paisley impersonation by Patrick Connor), Tony’s family, a pubescent rock band, Sunday School, dream sequences, the surreal appearance of Tony’s science fiction fixations Mr Tumnus (CS Lewis’ The Chronicles of Narnia), Doctor Who (the fourth one with a long scarf) and Thunderbirds, there’s a lot – probably too much – going on in this first outing of Paperboy. It’ll take harsh cuts to select the themes that should survive in the subsequent runs that must surely follow for this intelligent and witty musical. Natalia Alvarez’s set design wraps the Belfast skyscape as a newspaper-covered fence suspended above the uncluttered stage. Similarly-covered simple frames create doors, gates and seats. The costumes are fully of wide flares, wide stripes and colourful patterns. The script is littered with nostalgic references to popular culture, and audience-pleasing hits from the Bay City Rollers, whose rhythmic vibe extends into the Duke Special’s music for the show’s 28 songs. Two numbers stand out. The History Lesson explains local history from each side of the peace wall, with the second half explanation of the Easter Rising and partition ending in a pastiche of a familiar dance formation! Near the end of the show, A River Runs Beneath Us accompanies a women’s peace march and aptly references the underground Farset meeting the Lagan as women from the Shankill and Falls come together. With a focussed rehearsal period and a diverse cast, the co-directors Dean Johnson and Steven Dexter have achieved a lot in a very short timescale. 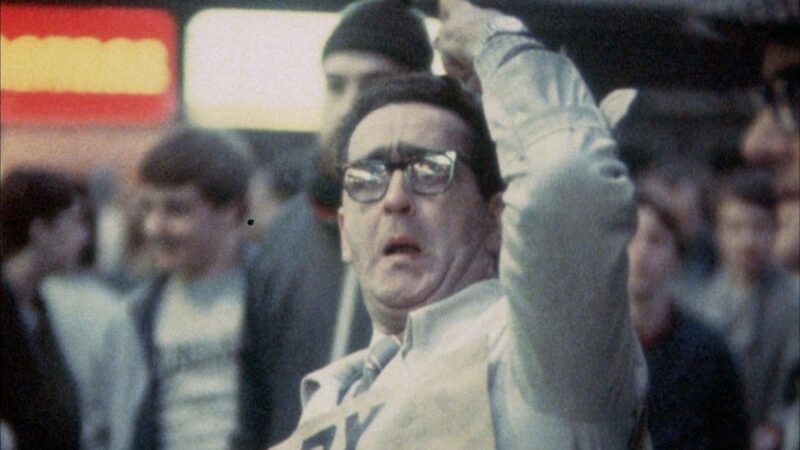 At times, English and American accents clash with the more Belfast-sounding voices, but this can be forgiven in light of the energy and precision of much of the rest of the performances. A lot of plays have been written from the perspective of different sides of the conflict. Few adequately explore people who chose to walk the middle line, discovering and questioning all traditions. Paperboy remains very true to Tony Macaulay’s history of peace building. The extended and sold-out run of Paperboy, a coming-of-age musical that will surely make you laugh and may also bring a tear to your eye, continues at the Lyric Theatre until Sunday 29 July. Turn up early and queue for returned tickets if you want a theatrical treat. As the title I, Dolours makes clear, this is a cinematic memoir rather than a critical analysis and is thus prone to the criticism that can be levelled against any autobiographical account. The storyteller – or perhaps storytellers plural in this case with interviewer and producer Ed Moloney deserving equal billing with his now-deceased subject – can be selective, revisionist, revengeful and view events through rose-tinted or very foggy glasses as well as having the opportunity to be brutally honest. 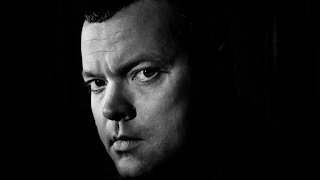 Archive footage is intercut with Ed Moloney’s single-camera interview with Dolours Price in 2010 as well as reconstructed scenes in which Lorna Larkin plays the younger woman. A couple of crackly snippets from an audio-only interview are also edited into the narrative. In the distributor’s production notes, Ed Moloney explains that his video interview was recorded in the aftermath of Dolours speaking publicly about her role in the IRA ‘disappeared’ to the Irish News. He made a deal to record her story and only publish it after she died if she promised not to speak further to newspapers and exacerbate her poor health. It feels like yet another flawed aspect of the governance that has blighted the well-meaning Belfast Project (‘Boston Tapes’) oral history archive. Having established the Price sisters’ republican family pedigree, the film explores the lead up to the civil rights movement (Dolours and Marian joined The People’s Democracy group) and the outbreak of the Troubles. Captions explain some key moments in the timeline, emphasising the difference between meek nationalists and fervent republicans, and explaining that republicans were initially unarmed and unable to defend themselves against attacks from state forces and loyalists. Dolours’ idealism leads her not only to join the IRA, but to trust it with her loyalty, even when asked to perform demeaning or unpalatable tasks, from polishing up rusty bullets, to being ‘promoted’ to ‘the unknowns’ and ferrying touts across the border to be killed and disappear. She appears unflinching rather than unquestioning. “I just knew I had to bring them across the border and leave them there” in the hands of the local unit who would ultimately kill them and bury them. Dolours gives some background to the disappearance of Kevin McKee and Seamus Wright in 1972, as well as Joe Lynskey . She describes Jean McConville as “arrogant” and “an informer” who had an army transmitter in her home and was identified by her slippers being smuggled into a police station. Those statements are strongly contested by the McConville family and the Police Ombudsman report. Having admitted to being one of the three volunteers who drove the mother of ten across the border, watch out for the verbal dexterity when Dolours slips into the third person to describe how the volunteers had to return when the local IRA unit refused to kill a woman, and each of “the three volunteers” (rather than ‘we’ or ‘I’) shot her in the head. There’s nothing terribly new in the film. She smuggling explosives across the border and robbed banks dressed as a nun, putting it down to the “recklessness of youth”. She describes Gerry Adams as the “officer commanding in Belfast” to whom people “reported”. She says he was there when they discussed “a serious matter … a hanging job” to escalate and extend the campaign of terror to England. Dolours tells Moloney about her role as OC in the operation to explode multiple car bombs in London. “I was only too willing and happy to undertake.” In a rare moment of humour in the 82-minute film, she shares an anecdote about Gerry Kelly breaking cover and leapfrogging over bollards that rings true and underlines his penchant for jumping onto objects. Arrested and charged for their role in the Old Bailey bombing – in which 200 people were injured and one man died of a heart attack in the immediate aftermath – Dolours and her sister Marian became the third generation of women in their family to serve time in Armagh Gaol. Dolours describes it as an “honour”, saying that her Aunt Bridie’s suffering in the aftermath of lifting an arms dump that subsequently exploded, blinding her and destroying her hands, “obliged me in some way to continue the struggle”. Initially imprisoned in England, reconstructed scenes depict the hunger strike action taken in protest at their location. Dolours discusses how after 20 days of refusing food, prison authorities force-fed her once or twice a day for the rest of their 208 day protest. 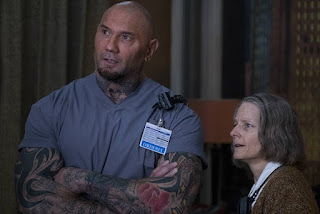 She links the force-feeding with suffering from anorexia, which along with a reconstructed scene that includes a panic attack, are the only real hints of the much larger psychiatric and substance abuse problems with which she suffered. Some aspects of the film’s storytelling techniques let it down, making it feel at best rushed, and at worst, truncated or unfinished. While the reconstruction could only have been avoided by bringing other voices and commentators into the documentary, director Maurice Sweeney’s decision to allow the way ‘young’ Dolores narrate some scenes lacks the authenticity of the filmed interview. I, Dolours is a deeply unsettling film. In her interview, Dolours is lucid and articulate. But the idealism and dogma used to justify her membership and activity in the IRA is gradually replaced with a (quite poorly-described) disillusionment about the direction mainstream republicanism took after the ceasefires. Certainty about the cause was replaced with questioning and disenchantment about the hollow political process . Yet people – in the case of Joe Lynskey, a close friend – had been ferried to their death. Bombs had been planted. Three years after the interview, Dolours Price was found dead in her County Dublin home having taken an overdose of medication. I, Dolours will be screened on Monday 13 August as part of Belfast Film Festival’s Pull Focus season of documentaries before going on general release across Northern Ireland on Friday 31 August. 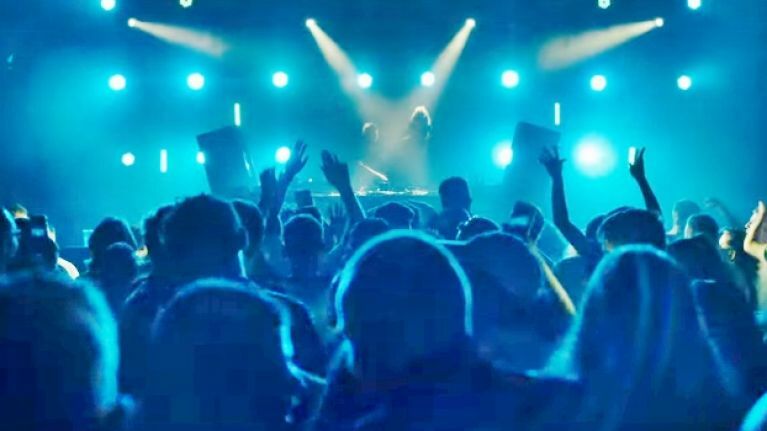 While ABBA seemed to be the music of much of my childhood – I still have the cassettes somewhere in a box – the only time I watched the original Mamma Mia film was on a portable TV mounted high up on the wall of a German hotel room. So I went sat down this afternoon in screen two of Lisburn Omniplex to watch Mamma Mia! Here We Go Again with a love of the music, but no particular attachment to the characters. The film picks up the story five years after the end of the first movie, back on the fictional Greek island of Kalokairi (this time using the Croatian island of Vis). Sophie is opening the Hotel Bella Donna, named after her mother, but a storm threatens to ruin the plans for a fabulous party. Flashbacks using a well-matched younger cast show Donna’s journey to the island, and her proclivity for unprotected one-night-stands that led to baby Sophie and her three Dads. 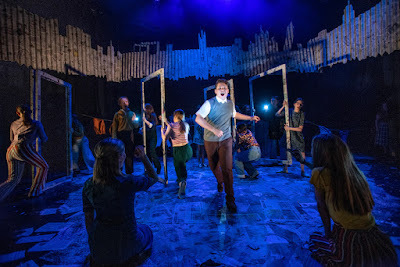 The Ol Parker and Richard Curtis script is cliché-ridden – “Do what makes your soul shine” – and the lead-up to one of the opening numbers, When I Kissed the Teacher, is the clue if any was needed that the plot is neither designed to be deep nor believable. It was lovely to catch a glimpse of Björn Ulvaeus sitting on stage at the graduation, and Benny Andersson pops up later, perched behind a piano in Waterloo, one of the most outrageously fun songs that is the closest Mamma Mia 2 gets to the pumped up verve of The Greatest Showman. Clever cinematography and editing by Robert Yeoman and Peter Lambert allow scenes to flash back and forward and locations to mirror each other with a visual choreography that is often more impressive than the big group Fame-tastic dance-offs which have scale and colour but lack any emotion other than flagrant happiness. I’m a fan of the rich harmonies in ABBAs songs, the sound of the synths, and the chord sequences that embellish the melody and turn nearly every song into an anthem. (Head along to the IKEA Crayfish Party in Holywood Exchange on Thursday 9 August for Swedish kitsch and great live music from The Bjorn Identity.) Most of the cast do most of the songs justice as they lip-sync to studio-recorded tracks. 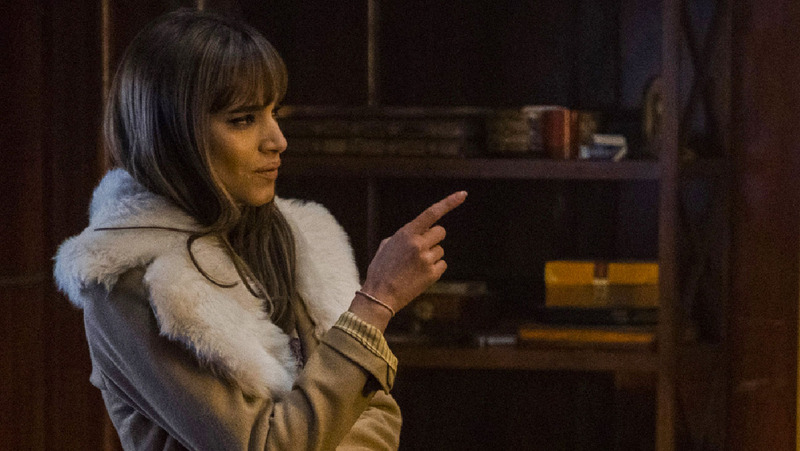 Lily James shines out from the cast as ‘young’ Donna. The frisky lass’s voice confidently wraps around her songs and she seems totally at home stepping into the twenty-something shoes of Meryl Streep. Christine Baranski steals scenes with her cougar-esque one liners as Donna’s friend Tanya – “Have him washed and sent to my tent” – while Julie Walters is endearing playing the bumbling Rosie. It’s only towards the end that Amanda Seyfried can inject some depth of character into Sophie. The Lisburn audience laughed politely during the first two thirds of the film, and shuffled in and out to the toilet and concession stand, enjoying casting the shadow of their heads along the bottom of the film screen as they bobbed up and down the steps. But when Cher stepped onto the island – yes, we had been waiting for ‘you’ – the film allowed itself to change up a gear. Having been tinged with grief throughout, the emotionally-packed finale delivered surprise reunions of long (and lost) relatives, a great rendition of Fernando, and a final glitzy number which merged together the young and old casts and allowed the audience to tap their feet – but never break out into song – one last time. And if you wait until the end of the credits, Omid Djalili makes an extra appearance in his illogical passport-stamping booth. 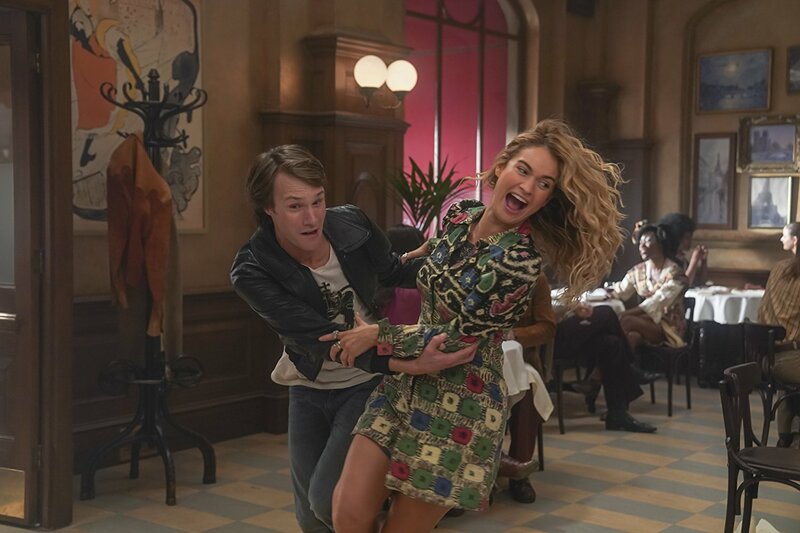 While the prequel/sequel melange is quite creative and the blend of familiar and less-familiar ABBA songs are well executed, the expensive cast across the two timelines dilutes the energy and dulls the sense of character recognition. But that won’t matter if you go back to see it a second or third time. ABBA was always fairly tongue-in-cheek and aware that their fashion was outlandish and their routines over-the-top. So too with this second Mamma Mia movie. It’s a bit of summer lovin’ to make you weep and smile. Mamma Mia! Here We Go Again is available in most cinemas. 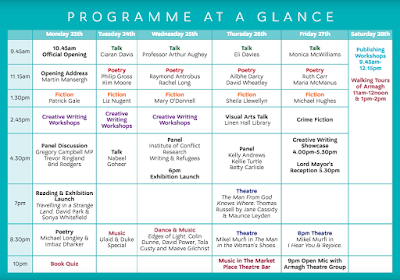 Monday 23 July > The opening address on Transcending Boundaries of the Past and of the Future will be delivered at 11.15am by Dr Martin Mansergh, a former Fianna Fáil Minister of State at the Departments of Finance and Arts. Later at 4.30pm, Peter Osborne will chair a panel discussing why the Civil Rights movement was replaced by the violent conflict. He’ll be joined around the table by Gregory Campbell, Colm Gildernew, Trevor Ringland and Brig Rodgers. And from 7pm, Malachi O’Doherty will be in conversation with author David Park about his recent novel Travelling in a Strange Land and photographer Sonya Whitefield (whose exhibition accompanying the book will be on display in The Market Place Theatre & Arts Centre throughout the Armagh festival). 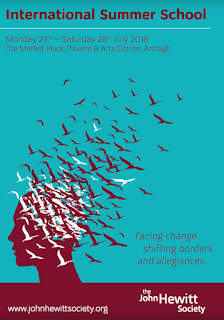 Tuesday 24 July > Facing change: the identity perspective is the title of Nabeel Goheer’s talk at 4.30pm. He’s assistant secretary general at the Commonwealth Secretariat. (The Commonwealth of Nations is an intergovernmental organisation with 54 member countries that promotes peace, democracy, human rights and development.) At 8.30pm Duke Special returns to the summer school with Ulaid, with a mix of contemporary songwriting and traditional music. Wednesday 25 July > Emeritus Professor Arthur Aughey will deliver the Centre for Cross Border Studies’ lecture at 9.45am. Later that afternoon at 4.30pm, Professor Pól Ó Dochartaigh will discussing Writing & Refugees with Ian Duhig, who recently edited an anthology of work from immigrant communities in Leeds. That will be followed by the launch of Mariusz Smiejek’s exhibition of photographs – Daily Lives: Asylum Seekers in Italy and Ireland – at 6pm. Thursday 26 July > Linen Hall Library will share some of their rich political collection in an illustrated presentation at 2.45pm about their archive which documents activities and views of all parties to the conflict and subsequent peace process. At 4.30pm, Kelly Andrews, Kellie Turtle and Betty Carlisle will look back on the anniversaries of the Civil Rights movement and the Representation of the People Act 1918 and ask whether there is Unfinished Business in establishing equal rights between women and men. And at 7pm in The Man From God Knows Where, writers and broadcasters, Jane Cassidy and Maurice Leyden will tell the story in words and music of Thomas Russell, a soldier, a revolutionary and the first librarian of the Linen Hall Library. Friday 27 July > Emeritus Professor Monica McWilliams will delve into her recent research project at Ulster University to talk about Women waging peace: the challenges encountered in making and implementing the Good Friday Agreement at 9.45am. While it opens with pumping music and a poetic voiceover, that in no way qualifies Dublin Oldschool to be labelled as Dublin’s version of Trainspotting. 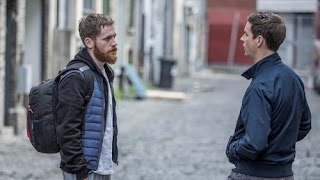 This new film follows DJ Jason (Emmet Kirwan) and his drug-taking, sometimes drug-dealing, friends as they have hazy, crazy adventures across Ireland’s capital, running from the police, running from each other, and ultimately running from themselves. The emotional thread driving the story is the strained reunion of two brothers who have to decide whether blood is thicker than (cans of) lager. The city of Dublin looks well with its maze of back streets and off-the-beaten-track shops providing the backdrop to much of the story. Emmet Kirwan has a face shaped by a thousand tales and grabs attention as the film’s lead when he is on screen. (He also wrote and starred in the original play of the same name.) 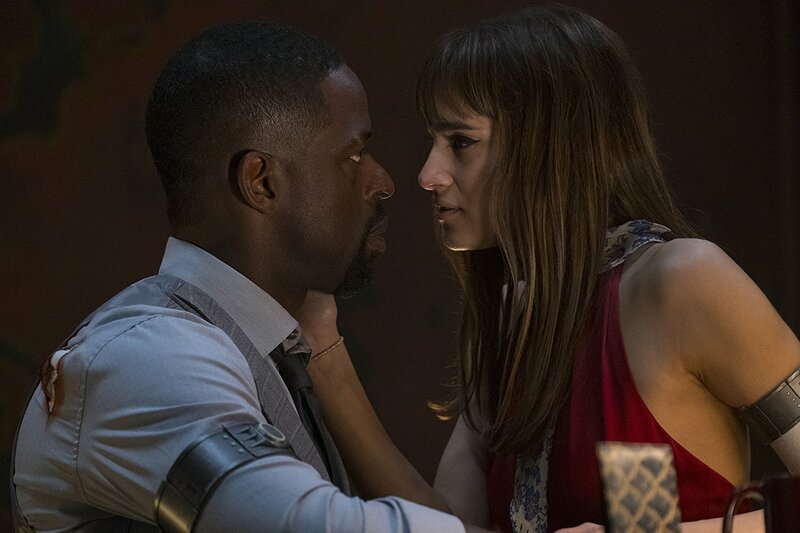 Given Jason’s hectic and itinerant lifestyle over the weekend depicted by the film, his lack of stubble is remarkable, perhaps even miraculous. Long-lost bedraggled brother Daniel is a heroin addict – a less recreational addict – and is played by a hirsute Ian Lloyd Anderson (the other half of the original two-man show). While Jason’s ex, Gemma (Seána Kerslake), adds a further broken relationship to the mix, it’s another woman – Lisa, played by Sarah Greene – who continually steals scenes with a wee sideways look or a good line, yet her character is never fully developed. Directed and co-written by Dave Tynan, at its best Dublin Oldschool reminds me of the self-discovery masterpiece Daphne. 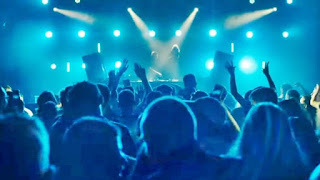 But the obsession with performance poetry proves to be a stylish distraction and while a succession of house parties and a rave in a rural idyll are musically upbeat, the film ends weakly having celebrated drug-taking without anyone feeling the pain. Dublin Oldschool is being screened at Queen’s Film Theatre until Thursday 5 July.